We want to make use of as much screen space as possible on our Android homescreen. But on stock Android there’s just one thing that used to bother us: the persistent Google search, which used up the whole top row of our screen. And this applies to a very big amount of Android users out there. It doesn’t matter if you have a Nexus, Sony Xperia or any other Android device, you want more space for your apps on your homescreen. In this guide we will show you some methods on how to remove the google search from your Android homescreen. Some users like to have it there all the time, but we like to search Google using Google now, voice search or just by quickly opening Chrome. By removing the Google search on top of your screen you will get an extra row, which you can fill with your most used apps or widgets. There are four different ways you can get rid of the persistent search bar: installing a custom Rom, installing Xposed Framework, using a custom Android launcher or completely disabling Google Now to delete Google’s search toolbar. Except for a few selected launchers, all other methods are completely free. Before jumping into the different methods, make sure to check, if you can actually just remove the toolbar like any other widget. To do that, press and hold on the Google search bar. If nothing happens, continue reading. If you see a tiny pop-up menu with an option to delete the widget, go ahead and press it. Now you successfully removed the Google Search Bar from your homescreen. If you want to get the most out of your Android homescreen simply go to the Play Store and download the launcher you like the most. 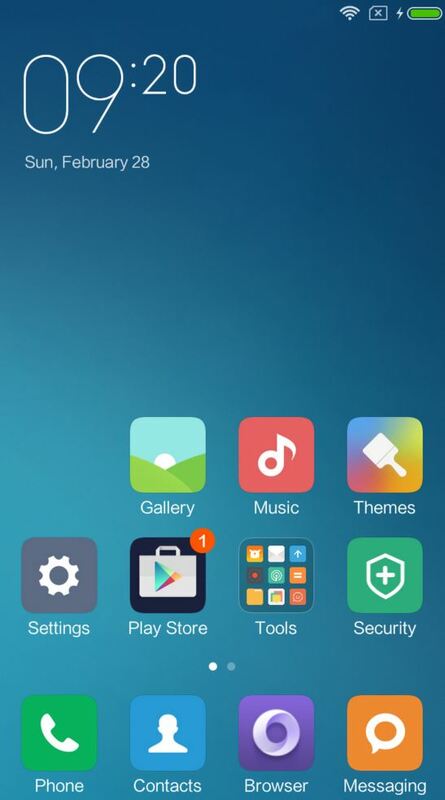 A launcher is an app that lets you change the way your homescreen looks and how you interact with it. We, for example, use Nova Prime as we go-to launcher. If you are using Nova, go to your Nova settings -> Desktop -> Persistent Search Bar -> None. That’s it. If you are using another Android launcher, just check your settings and you will most likely find another way to remove the Google Search bar. Do not use this method on stock Android (for example, any Nexus device)! Some users have experienced problems with this method running stock Android. If you are running stock Android without a custom launcher, this method might soft-brick your device. If you are currently using the Google Experience Launcher (GEL) you can simply disable Google Now to make the Search bar go away. Go to your Settings > Apps > swipe to the “ALL” tab > select “Google Search” > press “Disable”. The only thing you need to do now is restart your device and the Google Search bar will be gone. However, doing so will disable one of the most useful Android features – Google Now. But don’t worry, there are more ways to accomplish the same result without losing your smart assistant. If, after following the steps above, you will see a grey bar instead of the Google search bar, just restart your phone. With this method, however, you won’t be able to use the space, which has previously been reserved for the search bar. If your Android device is rooted, there is a great way to get certain custom rom features without actually flashing a custom rom – Xposed framework. If you already have Xposed on your Android device, simply download the Xposed GEL Settings app from the Play Store and disable the Search bar in the settings. Works perfect. Most customs come with the Google search bar on the top of your homescreen per default. However, most custom ROMs allow you to remove the annoying Google Search bar by simply deleting it, like you would remove any other homescreen widget. Pretty simple. Now that you have successfully removed the bar and found yourself missing it, there are a few ways to get it back. If only the third method worked out for you and you happen to use a custom launcher, we recommend removing the widget’s margins by long-pressing the widget and selecting the Remove Margin option. This way you will be able to replicate the look of Google’s original search bar. We see some of you are having problems removing or getting the search bar back into its place. All of us would appreciate it, if you could mention your device and Android version, so we can all help each other out. If we see a solution that functions for a certain device, we will make sure to include it here in the next update to the post! We hope we could help you with this guide on how to remove the Google Search from your Android homescreen, if you have any feedback leave a comment below. Be the first to comment on "Remove the Google Search from your Android homescreen"